Sophie is from Queens, NY, and joined CGEE after completing a fellowship in Mendoza, Argentina. As a 100 Projects for Peace Fellow with the Kathryn W. Davis Foundation, she designed and implemented an orientation program for study abroad students in Mendoza to help foster intercultural friendships which she believe is central to fostering deep engagement in local culture. Before moving to Argentina, Sophie earned her Bachelor of Arts in Political Science at Amherst College. She is passionate about helping individuals create community in spaces that initially seem unfamiliar. 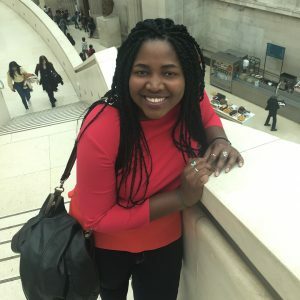 This led her to found an organization for first generation college students at Amherst and then develop a program for students abroad. She is excited to get to the know the many diverse communities in Mexico and work alongside a wonderful group of colleagues. Meet our new IRA in Mexico, Sophie! On behalf of CGEE Mexico staff and Mexico Site Director Ann Lutterman-Aguilar, please consider donating to our earthquake relief campaign. As many of you know, Augsburg has had presence in Cuernavaca, Mexico for over 35 years. Many Augsburg students along with other college students, non-profit organizations, businesses and others, have participated in our life changing programs year after year. Each experience had by our participants includes short stays with host families in the region. These families have expressed generosity, love, and support in hosting students throughout the years. Many of our host families in the rural parts of Morelos were hit hard by the September 19th earthquake. These families and communities have lost homes in the devastation and are working to rebuild their lives. Please consider donating to Ann’s campaign to help raise money for these families and communities in need. Even a simple $10 donation or a “share” on a facebook page can go a long way to helping those communities in need that have been so kind and generous with our students over the years. Despite the terrible tragedies caused by the recent earthquakes in Mexico, people are recovering amazingly quickly and demonstrating the incredible warmth and generosity of the Mexican spirit. Small mom and pop businesses have been giving out food and supplies to survivors of the earthquake, as have hardware stores and other businesses. Almost everywhere you go, you see people who have set up relief collection centers in their homes, and people going to drop off donations. Many schools are serving as shelters for people whose homes were destroyed or damaged in the earthquake, and our state university is helping to coordinate relief efforts throughout the state. The government has opened up toll roads and made them free so that people can travel more easily and inexpensively during this time. Even a lot of banks have stopped charging a fee to withdraw money regardless of whether it is your bank. These are just a few of the endless examples of the overwhelming love and solidarity being shared by ordinary citizens and all kinds of institutions. The international response to the earthquake has also been tremendous. On Friday, I witnessed the arrival of 15 Canadian women rescue workers with their rescue dogs. They received a huge round of applause everywhere they went in the earthquake because people could identify them as a result of the vests that both the women and dogs were wearing. And the Canadians aren’t alone. People from the United States and Cuba and all over the world have been helping out in person and through donations. As a result, students and customized program participants have an incredible opportunity to learn from a wide range of people about what schools, social workers, activists, ordinary citizens, governments, and businesses do to respond to emergency situations. 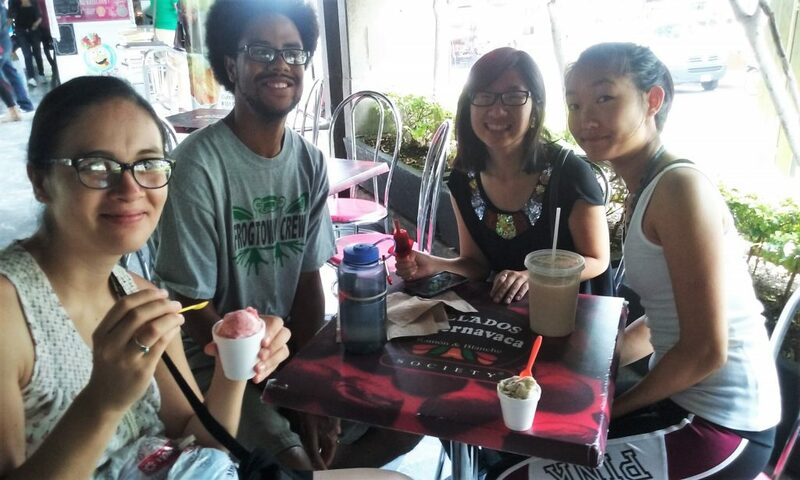 Our current semester students were with their host families during the last (and worst) earthquake here last Tues., September 19, and they and their Mexican families were all fine. In addition, the staff in our study center are all fine, and no one lost a home or has had to evacuate, although a few staff members have some damage to their homes. We are among the lucky ones, as are all of our current host families and all of the host families in the neighborhood of Plan de Ayala. While lives and homes were lost in Cuernavaca, most of the largest tragedies took place in the southeastern part of the state of Morelos, closest to the epicenter of the quake. Towns such as Jojutla and Axopian and Tenancingo were devastated. Ixtlilco el Grande, where many CGEE students (especially in the Social Work program) have participated in rural homestays lost at least 15 homes, some of which belong to former host families. Those who haven’t been to Ixtlilco but have studied in Mexico may have learned about the circulatory migration between that town and Minneapolis from Augsburg adjunct professor Raziel Valino, who is completing her doctoral dissertation on that topic. She reports that the host families are physically fine and recovering from the trauma. Even as they work to rebuild their own homes, they are helping out the other towns in their region that have suffered greater loss. Again, the show of solidarity is very inspiring. Amatlan de Quetzalcoatl, where numerous CGEE groups have had homestays, also suffered from the earthquake. Like Ixtlilco, Amatlan did not suffer the loss of lives, but numerous homes were destroyed, including that of elderly farmer Dona Irene Ramirez, who has often given talks about her heirloom corn and her views of GMO corn. If you have already donated to earthquake relief in Mexico, thank you. If you haven’t and would like to, there are many great organizations that could use your help. The following link provides a few great suggestions for how to help: https://www.nytimes.com/2017/09/20/reader-center/donate-mexico-earthquake-.html. CGEE-Mexico is currently trying to compile a list of host families who lost homes in Amatlan and Ixtlilco that we can share so that you can know how your former host families are if you have not already been in touch with them. We are also hoping to set up a mechanism to channel funds directly to the CGEE host families in Amatlan and Ixtlilco who lost their homes. Therefore, please stay tuned for updates. UPDATE: To donate to our campaign for host families, please visit the go fund me page at: https://www.gofundme.com/earthquake-relief-cgee-host-family. The Spring 2017 students on our Social Work and Migration, Globalization, and the Environment programs visit Ixtlilco El Grande for their home stays! 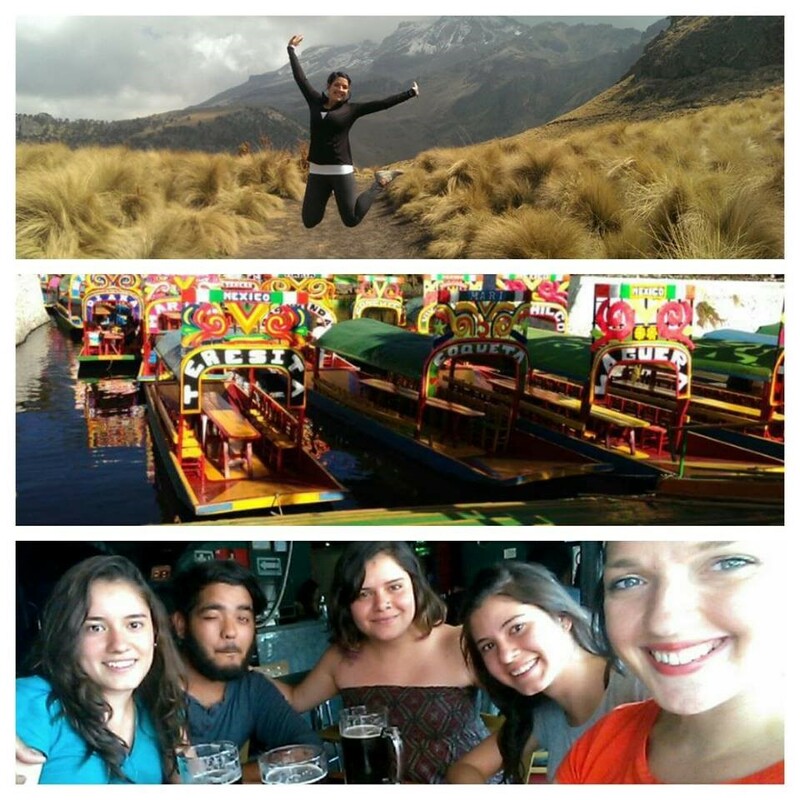 Photos and text courtesy of our International Resident Assistant, Amber Ramirez. 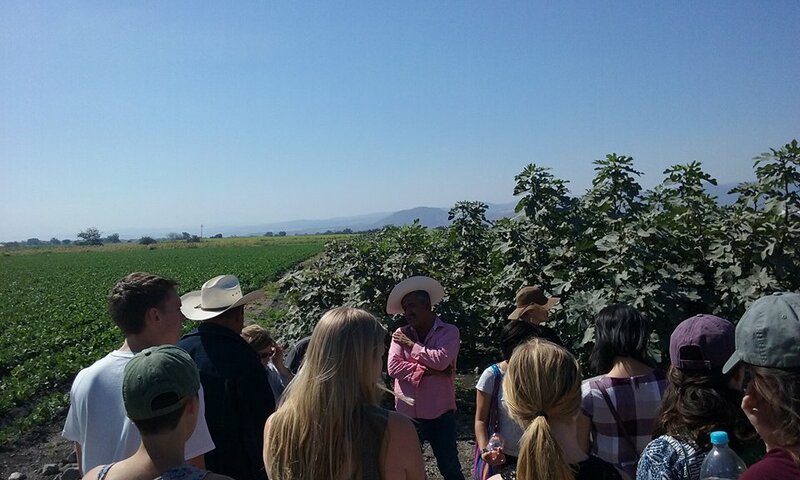 Students in Mexico visit a farm in Ixtlilco El Grande. Every week we are going to be sharing some of our favorite places in Cuernavaca with you! We will be giving you the inside look on all the fun places to go in Cuernavaca, Mexico while you study abroad! Today’s Cuernavaca Corner was written by Brittney Westgard, alumni of our Social Work program and current volunteer in Mexico. Brittney is an Augsburg College Alumni. This post was written by Brittney Westward, alumni of our Social Work program! Currently back in Mexico, volunteering with the CGEE students in Cuernavaca. (1) To expand your network of social workers. This is a guest blog post & photos from Crystal Winkelman, a St. 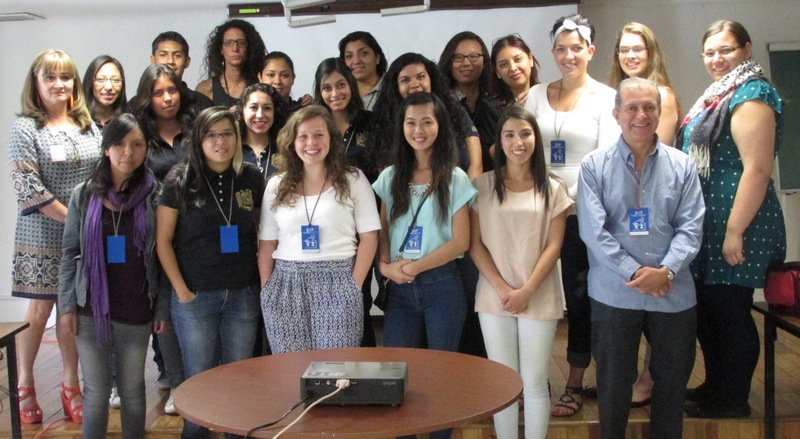 Cloud State University student currently participating on CGEE’s program, “Social Work in a Latin American Context.” See her post recapping March here. As my time here in Cuernavaca dwindles, I am having bitter sweet thoughts. I want to go home in just two weeks but I also want to stay longer and enjoy the beauties of this country! From hiking up the side of a mountain, to spending a week in Mexico City visiting the social work students at UNAM, to being able to spend more time with my host family, this last month has been an amazing one. This country is full of people cultures, places, and people. I am continuing to learn the language and practice more within my host family as well as within the community. My favorite memory was a week where students from UNAM came to our school and we learned the differences and comparisons of Mexican social work and social work in the United States. Makes you remember that even though we are from different countries, speak different languages and may have different values, we are not all that different from one another. This post was written by Ann Lutterman-Aguilar, site director at Augsburg CGEE in Mexico (Cuernavaca). Please note that Cuernavaca and Mexico City were NOT impacted by Popocatépetl’s recent eruption – all CGEE students & participants are well and accounted for. Greetings from Cuernavaca, where all is well. By now, you may have heard news of volcanic eruptions in Mexico. I want to assure everyone that the recent eruptions have NOT affected Cuernavaca or Mexico City, The volcano that has alerted news services is Popocatépetl (known locally as “Popo,”), a beautiful mountain approximately 40 miles east of Cuernavaca, 43 miles southeast of Mexico City, and 30 miles west of Puebla. With a threat level of 3 (7 being the highest), there are no evacuations taking place in the areas typically impacted by this volcano. As a result of ash clouds, the Puebla International Airport did close briefly from 7 am until 1 pm, when it was fortunately safe to reopen. It is important to know that the primary concerns regarding potential damage from these eruptions is gritty ash that can harm people’s lungs if not protected. Since The Center is on the other side of the volcano, we are not in serious danger of ash raining down on Cuernavaca. Nonetheless, we do have face masks ready to use should that ever become necessary. I have lived here for over 20 years, and have frequently climbed in the area of the volcano and talked with members of the National Rescue Team who are involved in evacuations, I feel very confident that our program participants are safe. Of course, we will continue to monitor the situation and take any necessary steps to continue to ensure their health and safety. In addition, as an added measure of precaution we have added an extra safety session to our ongoing orientation procedures. 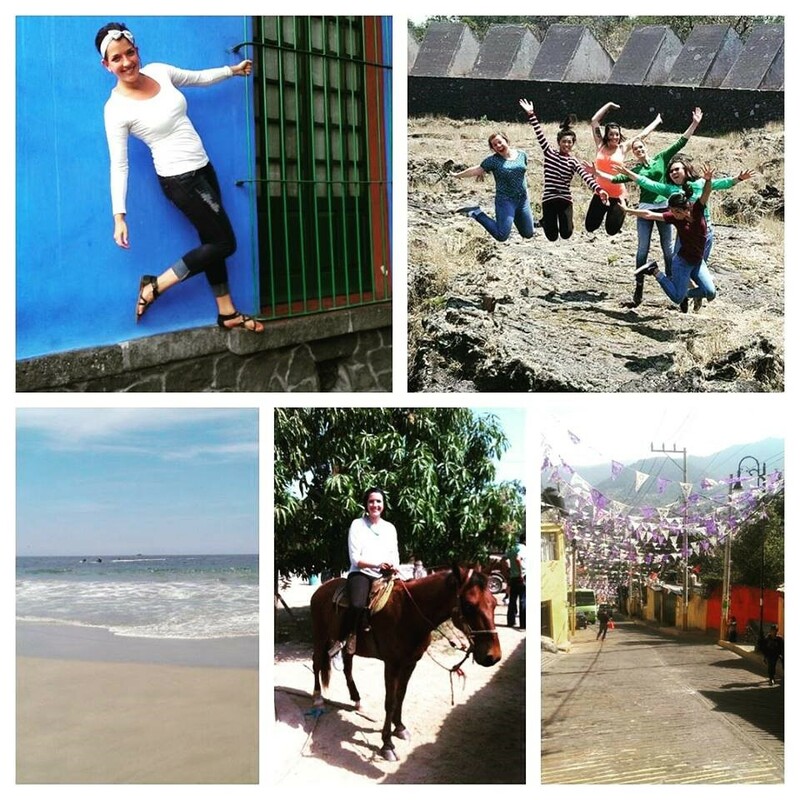 Photos and text are from CGEE’s IRA (International Resident Assistant) in Mexico, Laura Aguas. This is a picture from the UNAM week, the week Social Work students visit the National School of Social Work (ENTS) of the UNAM. Students in this picture, are with social work from the UNAM, at their field placements. 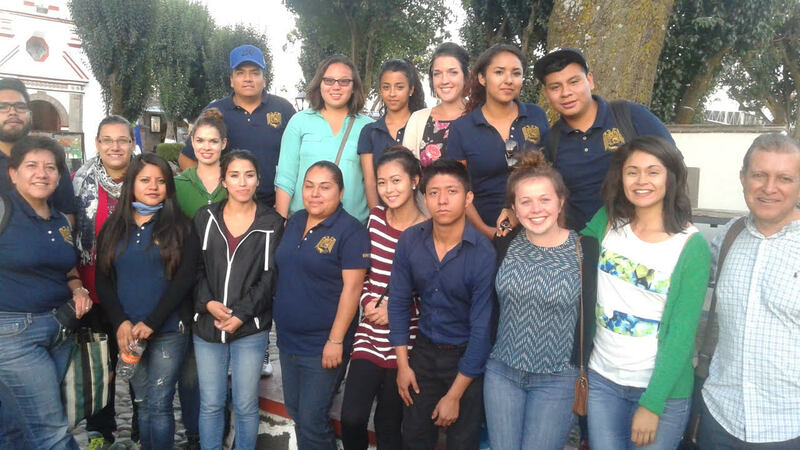 The UNAM students are doing their practicum/internship with a community in a rural-urban part of Mexico City. The students conduct research on the community’s resilience to keep their properties, and to look into how the community could be empowered. House members and students at the migrant shelter in Mexico City, Tochan. The migrants and students exchanged experiences of what they consider to be their home. Students were honored to hear their stories and share a meal prepared by a couple of house members. The members surely want our students to go back and visit! 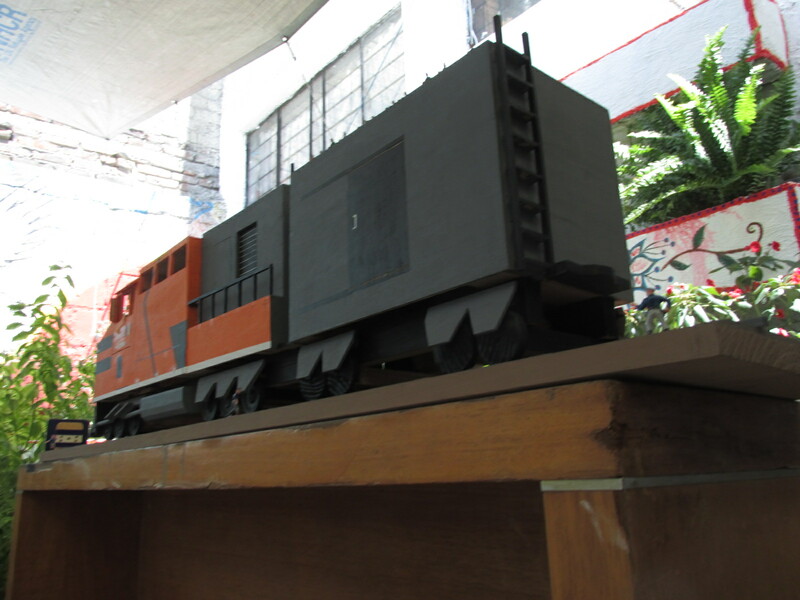 “La Bestia” train – a project by one of the migrants at the Tochan shelter. He and other house members are creating art pieces for a raffle, to support their house. 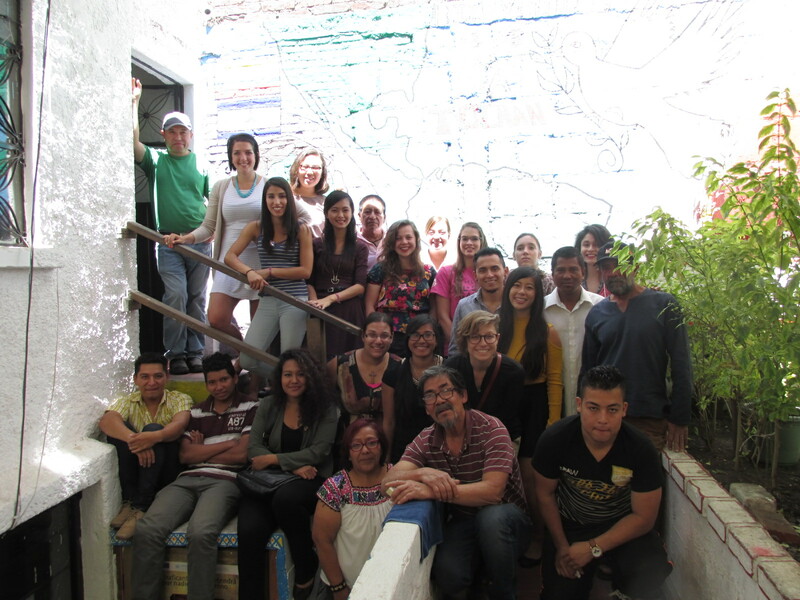 CGEE students visit a UNAM field placement, Casa Cuna, a shelter for youth. The UNAM students prepared a wonderful presentation for the CGEE group, explaining their investigation for the preparation of a suitable intervention for youth in crisis. CGEE students were facsinated by the work of UNAM social work students and the attention given to babies and children at the shelter. So much has happened in the last month in Mexico! After a long week of midterms, I was able to enjoy my spring break! I traveled to Ixtapa, Mexico for Semana Santa and got to go horseback riding, swimming with the dolphins, snorkeling, swimming in the ocean along with many other activities. After Semana Santa, Augsburg CGEE went to “UNAM” (Universidad Nacional Autónoma de México) and spent the week in Mexico City.